Chess Clock allows you to easily play Chess games with your friends or your family. 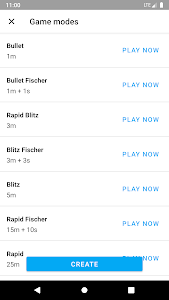 Supports Bullet Chess, Blitz Chess, Rapid Chess, Fischer Modus and custom variations. 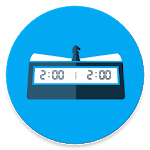 The following times are preinstalled by Chess Clock: 1m, 1m + 1s, 3m, 3m + 3s, 5m, 15m + 10s and 25m. 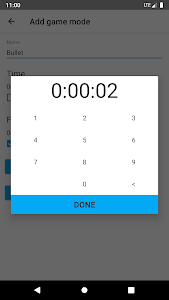 You can quickly add your own time modes. Different times per player is also supported. 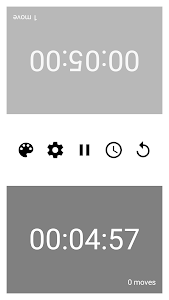 Additionally, the Chess Clock app offers a way to customize the Chess stopwatch by using a custom Chess watch theme. Playing a Chess game with time has never been easier. 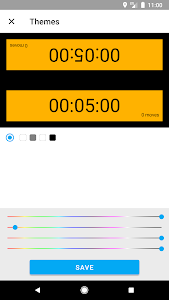 The timer and the clock can also be used for playing other games such as Go. 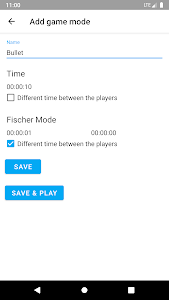 Try out the free Chess Clock app now! 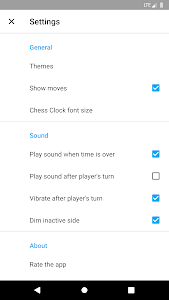 Similar to "Chess Clock - Play Blitz Chess"